Welcome to ElectionMap. The race for the 2016 presidential nomination has produced numerous candidates for both the Democratic and Republican parties, as well as hundreds of Independent and third-party candidates. ParentMap would like to help our readers make informed decisions going into the election season by providing profiles of many of the presidential hopefuls. We have focused our coverage on three issues affecting families: student loan debt and rising tuition costs; benefits for low-income and working families such as paid parental leave, child care costs and SNAP/WIC benefits; and education issues related to standardized testing, implementation of the Common Core and Universal Preschool initiatives. For each candidate, we look at their stated positions, as well as (when available) their actual voting history. Donald Trump has had a successful career in business and entertainment. The son of a real estate developer, Trump took over his father’s business and built it into The Trump Organization, which he still oversees. He has also been a regular feature on television, most notably as the star of his own reality show, The Apprentice. Trump began his foray into political office by running as a Reform Party candidate in 2000. In 2015, he announced his run for president, this time aligned with the Republican party. Donald Trump’s 2015 presidential campaign is centered around reforms of five main systems within the government, and his support of the Second Amendment. The five platforms of reform include: health care reform; US-China trade reform; veterans’ administration reform; tax reform; and immigration reform. He has not released policy information on any other major platforms. Because Donald Trump is not a politician, he has no voting record available for review. This summary of his positions must rely solely on Trump’s own statements, rather than, as previous articles in this series have done, comparing what the candidate says to what their voting record shows. Donald Trump has addressed the issue of student debt in several speeches, breaking with the Republican party on at least one occasion. He is not clear on how he would address the problem specifically, as he has not issued a statement regarding a platform on this issue. 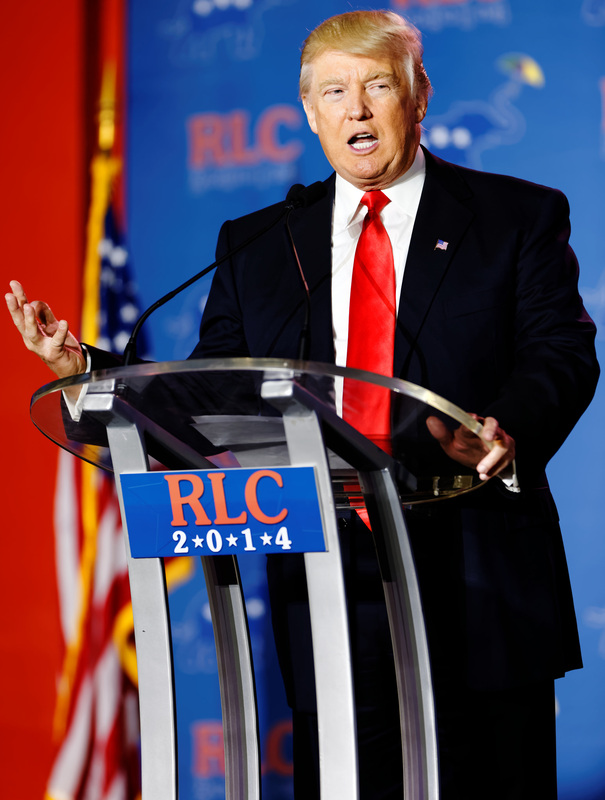 While expressing sympathy for students overwhelmed by debt, Trump has expressed few concrete solutions, stating that he knows of the issue and telling at least one young supporter, “I'm going to solve the problem, OK?” He has noted that solving this issue will involve relying on relief from the federal government, which is a break from other candidates in his party. In terms of paid parental leave, Trump has had little to say on the subject. Trump is generally in favor of providing working parents with on-site child care, though he is unclear on how most companies could provide it. He is generally not happy with the current assistance programs provided through the federal government, but has no official policy on the subject. In November, he told Iowa voters it’s not expensive for a company to do. “You need one person or two people, and you need some blocks and you need some swings and some toys. You know, surely, it’s not expensive. It’s not an expensive thing. I do it all over, and I get great people because of it … It’s something that can be done, I think, very easily by a company.” While this is an admirable sentiment, it’s unclear how Trump thinks this can be achieved by small businesses. While Trump does not have an official stance on SNAP/WIC benefits, he wrote in his 2011 book Time to Get Tough: Making America #1 Again that “the food stamp program was originally created as temporary assistance for families with momentary times of need. And it shouldn't be needed often. Thankfully, 96 percent of America's poor parents say their children never suffer even a day of hunger. But when half of food stamp recipients have been on the dole for nearly a decade, something is clearly wrong, and some of it has to do with fraud.” It is reasonable to assume that he would propose some sort of reform of the food assistance program were he elected. Trump is not a supporter of Common Core, feeling that the program is expensive and does not produce results. He does not provide any additional information on his own proposals for the elimination of Common Core or standardized testing. There is nothing on record from the Trump campaign about pre-K education, nor has the question been raised at any of the party debates. “We have to get rid of Common Core. We have to bring education to a local level,” Trump says in a video released by his campaign. He provides no specifics on what he would replace it with. He has given no specific statements on standardized testing. Trump has taken no official position on universal preschool to date.